Sometimes obedience can be a difficult choice. 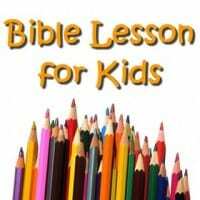 This lesson helps children understand that they can trust the Lord no matter what He asks for them to do. It draws this lesson from the section in Luke 5 where Jesus calls his first disciples. This was first written for children’s church, but it could be modified for a kids Sunday School lesson about obeying God. You might also enjoy our free coloring pages about obedience. Children will recall the key people and events in this passage by retelling the story. Children demonstrate an understanding of Jesus’ power and how they need to respond to Him. Bible: Luke 5:1-11. Prior to the class outline the important points to ensure specific explanations of them. Visual Aids: Pictures of Jesus in boat with crowds on shore; picture of Simon (Peter) pulling out full nets of fish. Try searching those phrases on Google Images. A mouse trap that’s been prepared beforehand to lock open and a dollar bill. Establish the lesson by briefly describing the key people in passage by showing pictures of Jesus speaking to the crowds from the boat and Peter pulling full nets of fish from the water. Active Listening: Prior to reading the story, divide the children into two groups and ask one half to listen for the way that Jesus showed His power. Ask the other half of the children to identify the responses of Peter to Jesus in the different incidents. Review: When you’re finished reading the story, use the pictures to review the important people and events of his passage. Ask the children to give a response to their listening assignment. How did Jesus show His power? How did Peter respond to Jesus’ requests? Emphasize the rewards that Peter received by obeying Jesus. Present the mouse trap and ask for a volunteer willing to trust the fact that you would never ask them to do anything that would bring them harm. Show the way a mouse trap works by setting it and putting a pencil inside of it to set it off. Put the dollar where the cheese is placed and reset the trap, locking it, without the children seeing it. Handle the trap carefully to help the child believe that it is set and could snap like it did with the pencil. Say to your volunteer, “I want you to trust me that you can remove this dollar from the trap without feeling any pain.” If the child seems hesitant, continue to encourage them that you’d never ask them to do anything that would hurt them. Once the child safely removes the dollar, use the illustration to help the children understand they can always trust to Lord. Ask for two volunteers to explain how Jesus showed His power and how Peter responded to Jesus’ requests. Share your favorite toy with your best friend. Say something nice to someone who has been mean to you. Invite someone to your party who didn’t invite you to theirs. Make a card for your sister or brother saying what you like about them. Share a piece of candy someone gave you with someone else. Give a bigger piece of dessert to your brother or sister. Jesus Calls Helpers (Luke 5:1-10) Preschool Lesson – This teaching plan is written for younger kids and features a bonfire to help experience the Bible story setting. thank you very much.It is such a help for me as an elementary teacher to simplify lessons to the kids. Tony Kummer (Editor) reviewed & updated this page on : February 4, 2019 at 1:53 pm. All our content is peer reviewed by our readers, simply leave a comment on any post suggest an update.